The transaction includes the acquisition of CPG’s Carmignano and Condino Mills in Italy, its digital imaging business located in Cham, Switzerland as well as all brands and know-how. It will be funded through internal cash resources. The transaction is conditional on the approval from certain competition authorities. We expect the acquisition to be completed during the first calendar quarter of 2018. The speciality paper business of CPG will continue to operate separately and independently from Sappi until clearances from the authorities are obtained. About Cham Paper Group Holding AG (CPG): CPGN (SWX) The Cham Paper Group Holding AG is a leading manufacturer of coated speciality papers. The company was founded in 1657. Following the divestment of the paper business, the company will focus on its real estate business and will operate under the name «Cham Group». Condino Mill (Borgo Chiese, Trento, Italy): This is a non-integrated paper mill, with one paper machine. The mill employs 120 employees and can produce 60 000 tons of paper per year. Paper grades include glassine (silicone base paper) and super calendared, uncoated flexible packaging papers. Digital Imaging Business (Cham, Canton Zug, Switzerland): A finishing plant is located in Cham Switzerland, in a 4000sqm industrial warehouse where the base paper from Condino or Carmignano mills are converted to produce 12 000 tons of digital imaging paper. The business employs 50 people. View this presentation for further details. 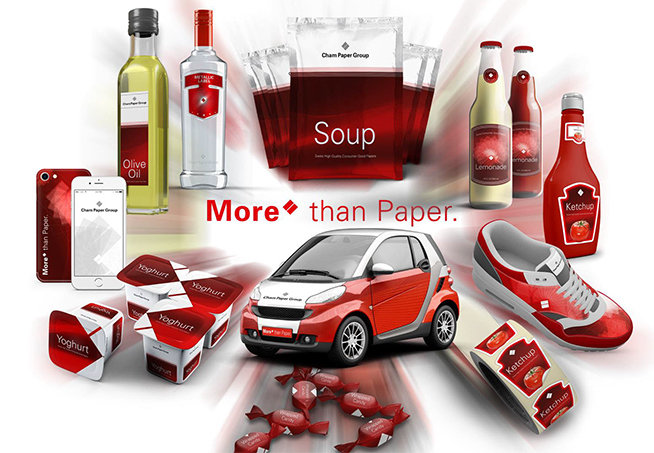 This acquisition further strengthens Sappi’s speciality paper business both in Europe and globally by combining Cham’s strong brands and assets with Sappi’s global reach. This transaction will increase profitability and unlock the significant growth and innovation potential inherent within the speciality paper market. I am very pleased that we have taken another signification step towards realizing our Vision2020 goal.